Do not hit the “Back” button, as it will cause errors in your order. Here’s How You Can Double Your Results And Build Strength, Flexibility, Balance And Coordination Faster The You Ever Thought Possible All While Saving BIG! Congratulations on making the decision to invest in The Warrior Warm Up eBook! Because you have chosen to take action today, you have a one-time opportunity to upgrade your order to include the Warrior Warm Up Video Series and save big. The Warrior Warm Up Video Series will DOUBLE YOUR RESULTS by teaching you in detail, every exercise outlined in the warrior warm up eBook in video format. 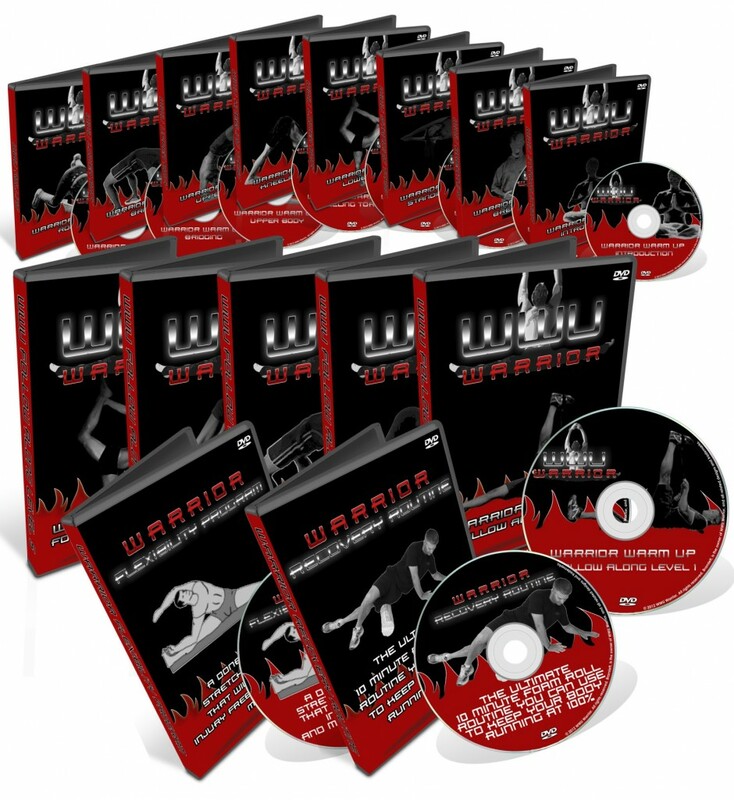 This special offer includes 15 videos that contain OVER 4 HOURS of priceless information you can use to instantly accelerate the level of strength, flexibility, balance and coordination you get from following The Warrior Warm Up all while saving an additional $574.05 in the process! IN ADDITION TO ALL OF COMPONENTS ABOVE AS A SPECIAL PROMOTION WHEN YOU ORDER TODAY YOU WILL ALSO RECEIVE THESE 5 BONUSES FREE!!! YOU’RE GETTING ALL OF THIS: THAT’S OVER $614.00 IN VALUE!!! Plus I Know For Sure That You Are Gonna Get Awesome Results By Following The Warrior Warm Up Video Series So I Offer A Special 60 Day 100% Money Back Guarantee Just To Prove How Confident I Am!! As you can see, the total value of the Warrior Warm Up Video Series is a whopping $614.00!! But once again, because I know the difference this program can make on your life I want to offer you the entire Warrior Warm Up Video Series not for $614.00, but at 93% off the retail price. Yes! Add the Warrior Warm Up Video Series to my order at a full 93% OFF, just $39.95! No thanks. I understand that this is my only opportunity to get access to this information and I’m okay with missing out, even at today’s HUGE discount. I understand that after declining this offer, the Warrior Warm Up Video Series may never be made available to me again at any price, even if I wish to pay more. I will pass on this forever.